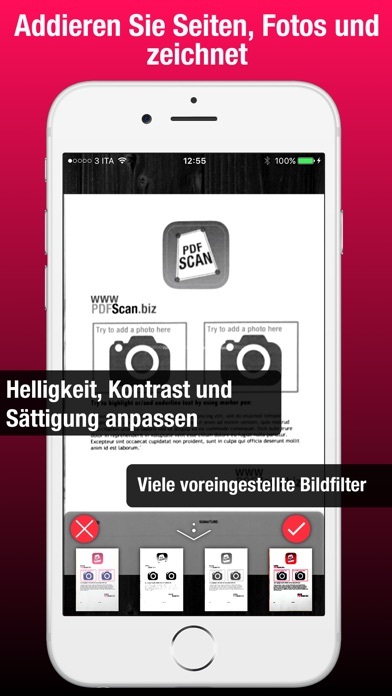 You can change background color of paper, to easily create a flyer or personalized colored document. With this app you can also compile, write text, add photo, add signature, cancel text, change document background, add multiple photo (for example front and rear of Identity Card or Driving License Card). 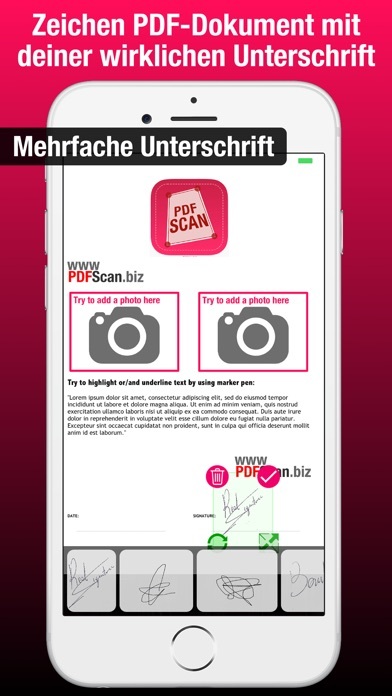 ∎ Create a fabulous flyer, or to create your business card or to draw a comic over your friend photo... Much MORE than a scan, sign, PDF document editor. ∎ Create a photo collage, and write or draw over it, save in photo library or share to your friends via email or social media. 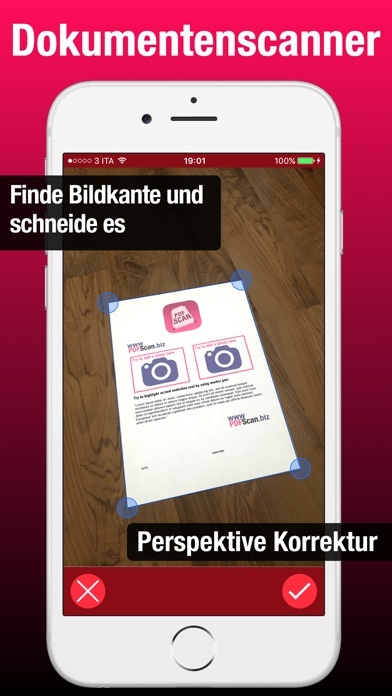 ∎ You want to recover and digitalize old photo? 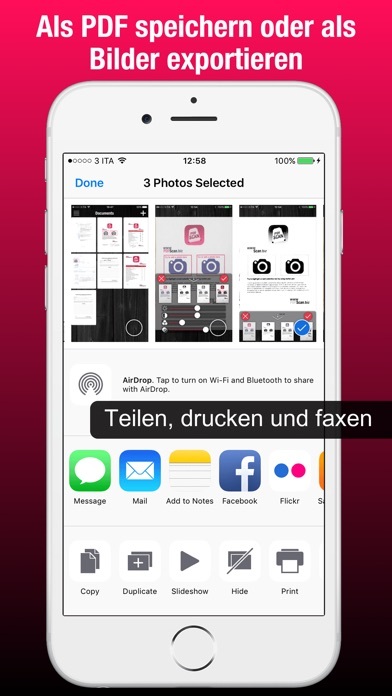 Simply scan all old printed photos and export them in your photo library. 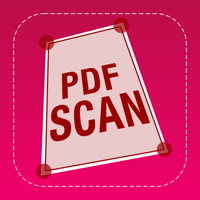 We believe we have the most powerful PDF scanner and editor. 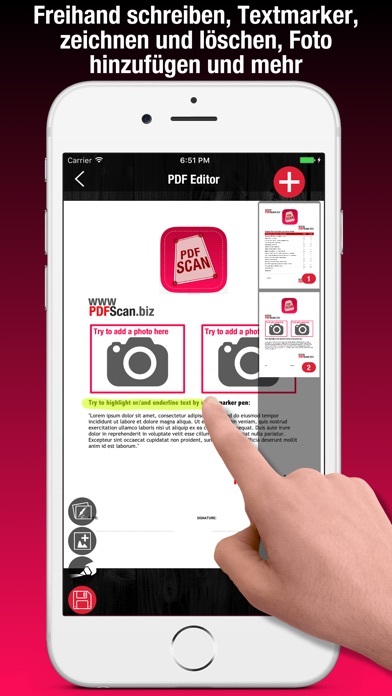 Try and utilize the powerful document scanner app features (scan, sign edit, draw app) and you’ll never use any other similar app ever again. The solution for your document editing and scanning problems!